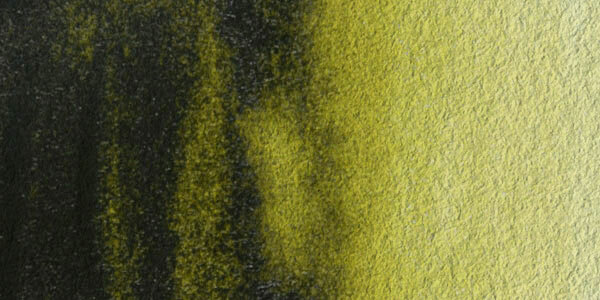 Pigment Yellow 17 is a somewhat greenish yellow that has very high tinting strength and good resistance to solvents. 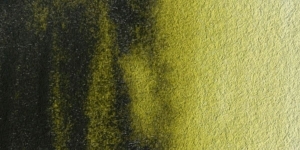 Pigment Yellow 17 has good lightfastness if prepared using the proper procedures. Because procedures for preparing PY17 vary, artists may want to conduct their own lightfastness tests to verify that the manufacturer has selected quality pigment. Benzidine dyes are not bioavailable. Although benzidine-based dyes can be reduced to their amine precursors in vivo, creating a compound that is carcinogenic, benzidine dyes are believed to be so insoluble in water that they are unlikely to be absorbed in a quantity sufficient to be carcinogenic. This Benzidine Yellow dye was first reported by Esitelty in 1949. Initiailly, it was reported to be less lightfast than yellow monoazo pigments, which limited its usefulness. A method for making Pigment Yellow 17 more permanent was patented in 1972 (United States Patent 3785843), and the improved dye became known as Permanent Yellow. Permanent Yellow 17 is widely used in printing inks, textile dyes, paints, plastics, and coatings.